In an opinion piece today for Newsweek, United Nations Secretary-General António Guterres outlined a vision for addressing the enormous challenges facing the international community, including maintaining peace and security, promoting economic development, and combatting climate change. This entry was posted in News and tagged #SDGs #Sustainable Development #United Nations, #United Nations Secretary-General, António Guterres, arbitration, mediation, peace, women on January 10, 2017 by Julia Dean. Buon giorno! E un vero piacere essere ancora una volta a Roma, specialmente con il Presidente Mattarella. Ladies and Gentlemen, I have just had very productive meeting with President Mattarella. Earlier today I also met with the President of the Senate, Pietro Grasso, and the President of the Chambers of Deputies, Laura Boldrini. We discussed some of the most pressing issues on the international agenda, including Syria, Libya and the refugee and migrant crisis. This entry was posted in News and tagged #Press Remarks, #United Nations Secretary-General, António Guterres, Paris Agreement on October 7, 2016 by Julia Dean. As Secretary-General, I have visited Switzerland more times than any other country in the world. This Palais des Nations is my second home. I thank Switzerland for generously supporting our Strategic Heritage Plan, which is securing these premises for future generations. Geneva is the UN’s starting point to lead the world’s response to humanitarian suffering, human rights abuses, pandemics, labour problems and more. Geneva also generously hosts important mediation processes. Many of you have been closely following the Syrian talks. Thank you for keeping the spotlight on this catastrophic crisis. My Special Envoy, Staffan de Mistura, has been doing everything possible to impress on the parties – and influential countries – that there can be no military solution. We are out of words to express our outrage at the carnage, especially in Aleppo. The brutality is unrelenting. I strongly condemn the deliberate campaign against civilians and health workers and humanitarian personnel trying to save them. The parties have first obligation, countries with influence are also responsible for ending the attacks. This entry was posted in News and tagged #United Nations Secretary-General, press conference on October 4, 2016 by Julia Dean. Following the result of the plebiscite, the Secretary-General welcomes the public commitment from the Government of Colombia, the Revolutionary Armed Forces of Colombia – People’s Army (FARC-EP) and all of the country’s political forces to continue working to end the armed conflict and build a lasting peace. After more than five decades of war, the Colombian people deserve no less. While political efforts are undertaken to assess the way forward, the Secretary-General believes all must be done to maintain calm and prevent a return to violence. He commends the parties for their commitment, as expressed by President Juan Manuel Santos and FARC-EP Commander Timoleón Jiménez, to maintain the bilateral cease-fire declared on 29 August. The Secretary-General has also instructed his Special Representative, Jean Arnault, to travel to Havana today to continue his consultations with the parties. The Secretary-General acknowledges the tremendous efforts undertaken to overcome the conflict and calls on all concerned to build on that foundation. He believes strongly that peace can still be achieved, and that the many Colombians who have committed themselves to this goal should not be discouraged. The United Nations reiterates its firm support to peace efforts in Colombia. This entry was posted in News and tagged #Colombia, #United Nations Secretary-General on October 4, 2016 by Julia Dean. The Secretary-General welcomes the Judgement delivered today by the International Criminal Court (ICC) in the case of The Prosecutor v. Ahmad Al Faqi Al Mahdi, in which Mr Al Mahdi was found guilty as a co-perpetrator of the war crime of intentionally directing attacks against religious and historic buildings in Timbuktu, Mali, in June and July 2012. The Secretary-General notes that this ICC Judgment, the first in a case of destruction of cultural heritage, represents an important step forward in the fight against impunity in Mali. He further notes that the path to healing wounds between communities in the country must be premised in greater accountability, justice and the Agreement on Peace and Reconciliation in Mali. The Secretary-General expresses his appreciation for the efforts undertaken by UNESCO and the UN Stabilization Mission in Mali, MINUSMA, in support of national authorities, to protect and reconstruct Mali’s heritage and to preserve cultural diversity in the country. This entry was posted in News and tagged #Timbuktu, #United Nations Secretary-General, Ban Ki-moon, ICC, Mali, MINUSMA, UNESCO on September 28, 2016 by Julia Dean. I am heartened by the tremendous support for bringing the Paris Agreement into force this year. 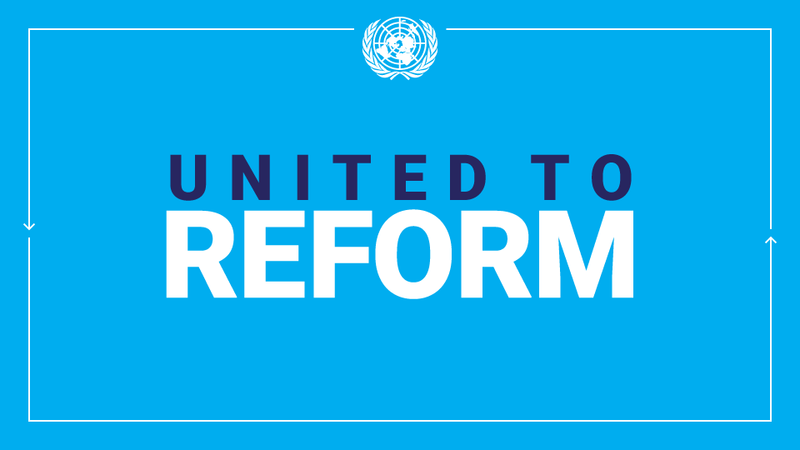 The global coalition that delivered in Paris continues to go from strength to strength. With this meeting this morning, as of now, we have 60 parties representing, over 47.5% [of global greenhouse gas emissions]. We need 7.5% more. And that means we have crossed one the two thresholds, the 55 countries, so it’s well over, now let us work harder to get all this 7.5% greenhouse gas emissions added more. I thank the 31 countries who have deposited their instruments with me today. I am happy to declare that we have officially crossed one of the two thresholds required to bring the Paris Agreement into force. This entry was posted in News and tagged #United Nations Secretary-General, Climate Change, General Assembly, Paris Agreement on September 22, 2016 by Julia Dean. I stand before you with gratitude for your support across the decade I have had the privilege to serve this great organization, the United Nations. In taking the oath of office in December 2006, I pledged to work with you for “we the peoples” With the Charter as our guide, and the dedication of the staff, we have achieved much together. I also stand before you with deep concern. Gulfs of mistrust divide citizens from their leaders. Extremists push people into camps of “us” and “them”. The Earth assails us with rising seas, record heat and extreme storms. And danger defines the days of many. One hundred and thirty million people need life-saving assistance. Tens of millions of them are children and young people — our next generation already at risk. This entry was posted in News and tagged #United Nations General Assembly 71st Session, #United Nations Secretary-General, Ban Ki-moon, United Nations General Assembly on September 21, 2016 by Julia Dean. The 2030 Agenda for Sustainable Development, adopted by world leaders last year, is predicated on the principle of leaving no one behind in the journey to a world of peace and dignity, opportunity and prosperity. Among those most vulnerable to being left behind are indigenous peoples. Indigenous peoples face a wide range of challenges including systematic discrimination, denial of their land and territorial rights and inadequate access to essential services. Indigenous peoples regularly face stigmatization of their cultural identity and lack of respect and recognition for their heritage and values, including in textbooks and other educational materials. Their marginalization is often compounded by language barriers. Instruction is mainly in the national language, with little or no instruction in, or recognition of, indigenous languages. This has grave consequences. Around the globe, indigenous youth are graduating from high school at rates well below the national average. In some countries, less than 40 per cent of indigenous children attend school full-time. In many others, few indigenous children complete a full high school education. This is unacceptable. We will not achieve the Sustainable Development Goals if we fail to address the educational needs of indigenous peoples. In recent decades, the world has progressed considerably in advocating for the rights of indigenous peoples. The United Nations now has three specific mechanisms to advance their cause: the Permanent Forum on Indigenous Issues; the Special Rapporteur on the Rights of Indigenous Peoples; and the Expert Mechanism on the Rights of Indigenous Peoples. We also have the United Nations Declaration on the Rights of Indigenous Peoples. Adopted by the General Assembly on 13 September 2007, the Declaration is the definitive benchmark for the recognition, promotion and protection of the rights of indigenous peoples. In September 2014, the first World Conference on Indigenous Peoples adopted an action oriented outcome document to achieve the ends of the Declaration on the Rights of Indigenous Peoples. As a direct result we now have a UN System Wide Action Plan to promote awareness and action to support the implementation of the UN Declaration, particularly at the country level. On this International Day of the World’s Indigenous Peoples, I call on Governments everywhere to draw on the guidance of this international framework to improve access to education for indigenous people and to reflect their experiences and culture in places of learning. Let us commit to ensuring indigenous peoples are not left behind as we pursue the vision of the Sustainable Development Goals. This entry was posted in News and tagged #United Nations Secretary-General, culture, discrimination, education, International Day of the World's Indigenous Peoples, Land and Territorial Rights on August 8, 2016 by Julia Dean.